Based near the centre of Nice, AZUR TRADUCTION offers language services for both businesses and individuals. We are skilled in many different business sectors. Our network of professionals located all over the world enables us to translate all of the European languages (including English, French, German, Greek, Italian, Portuguese, Spanish, and Swedish) as well as more ‘exotic’ languages (including Arabic, Chinese, Japanese and Russian). AZUR TRADUCTION offers language services for businesses and individuals. (including English, French, German, Greek, Italian, Portuguese, Spanish, Swedish) as well as more ‘exotic’ languages (including Arabic, Chinese, Japanese and Russian). 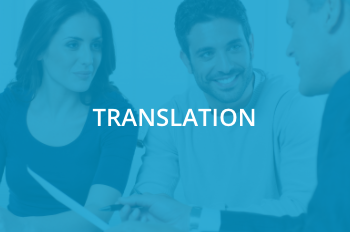 All translations are checked by a project manager before being delivered to you. A project manager is assigned to each request. He/she will be the client’s single point of contact. 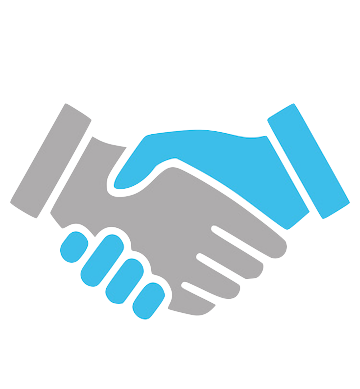 AZUR TRADUCTION is committed to meeting the deadlines specified in the quotation provided to you. As a professional business, AZUR TRADUCTION understands that some documents are urgent, and under certain conditions can work to tight deadlines. AZUR TRADUCTION guarantees absolute confidentiality when handling your documents. If your company uses its own terminology and a glossary is provided, we will adhere to it. All of our translators only work into their mother tongue. They are qualified professionals with a good knowledge of the field that they are translating. 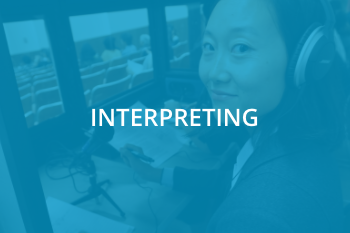 Interpreters are also meticulously selected according to their proficiency in various languages and their knowledge of the specialist field.